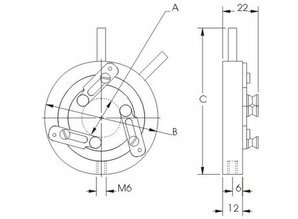 The model 830-0010 and model 830-0020 self-centring lens mounts reliably centre and safely hold round optics and cylindrical components. 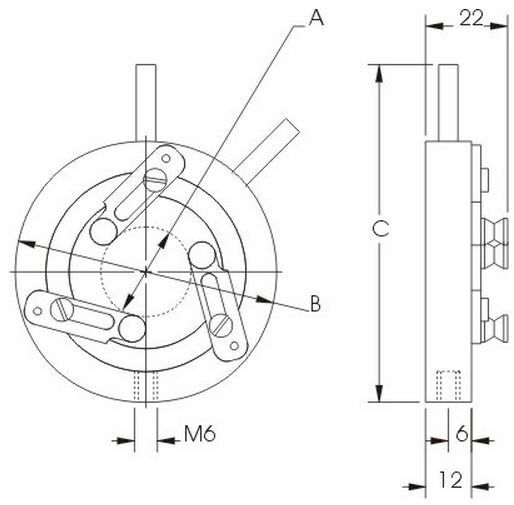 Holding by three rods with V-groove tips provide easy and secure optics accommodation with high relocation repeatability. 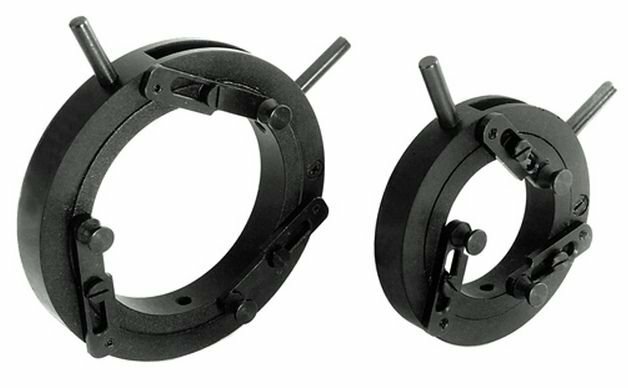 Model 830-0010 and 830-0020 mounts may be attached to series 820-0010 standard rods and then with series 820-0050 rod holders or series 820-0040 rod translators be located on the table. Alternatively, sets of riser blocks and movable bases provide a selection of convenient, various axes height and direct location to table. 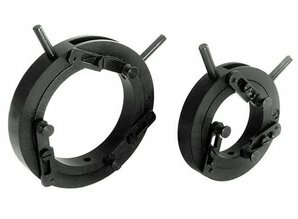 Model 830-0020 accommodates optics up to 60 mm in diameter. Catalog available online. Please see description.